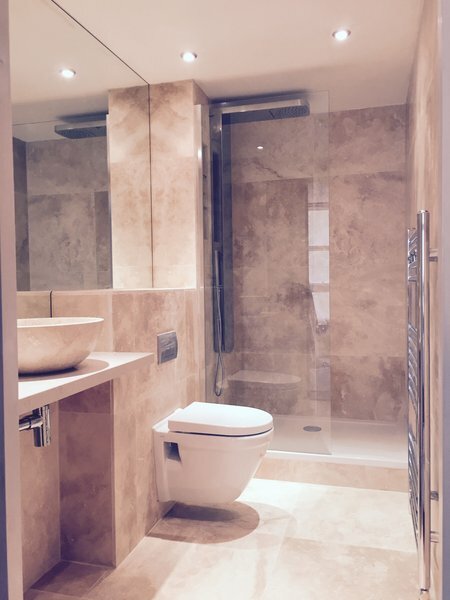 James has twelve years plumbing experience and has been running his own business for eight years. 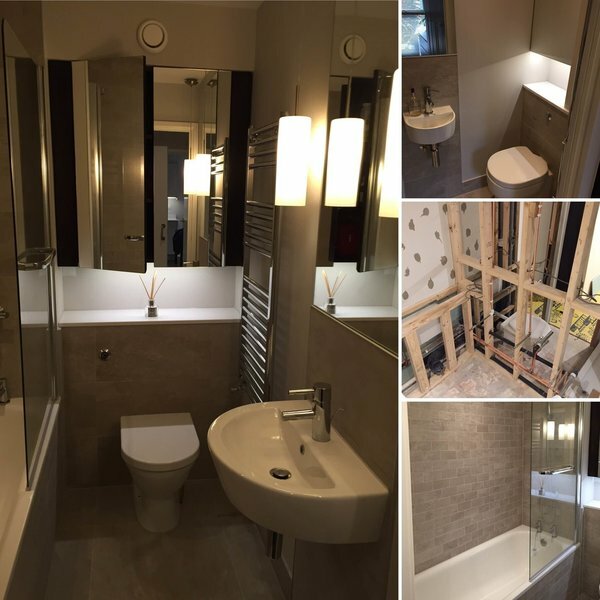 "The majority of our work comes through recommendations, which is why it is important for us to deliver a quality services that we can be proud of"
The backbone of James Fisher Plumbing Services are high quality bathroom and kitchen refurbishments. 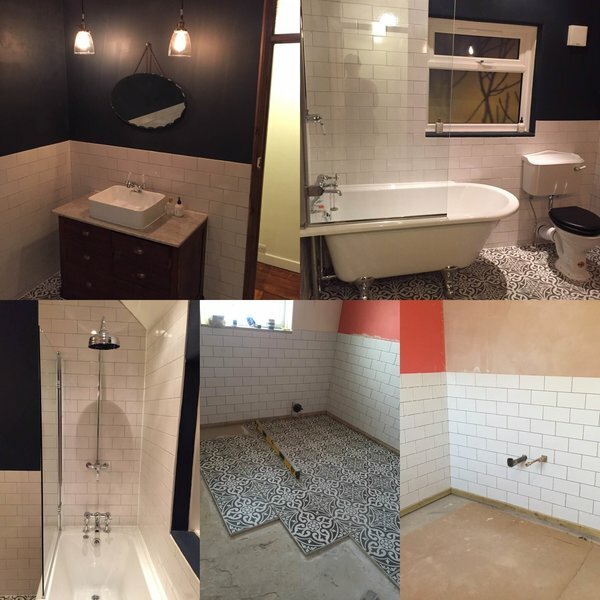 "We have some of the best carpenters, tilers and plasterers on our team and are happy to manage your project from start to finish". James is also available for emergency plumbing and installations Monday to Saturday. No job to small. We cover SW and SE post codes as well as central and east London. Thank you for considering us for you project. I first contacted James for help with a leak which he came and fixed promptly and efficiently. Since then he's gone the extra mile giving advice to help find the source of a problem with our shower/boiler. I'd happily recommend him to anyone. I engaged James to track down a leak in my bathroom that had led to rotten wood and cracked tiles. 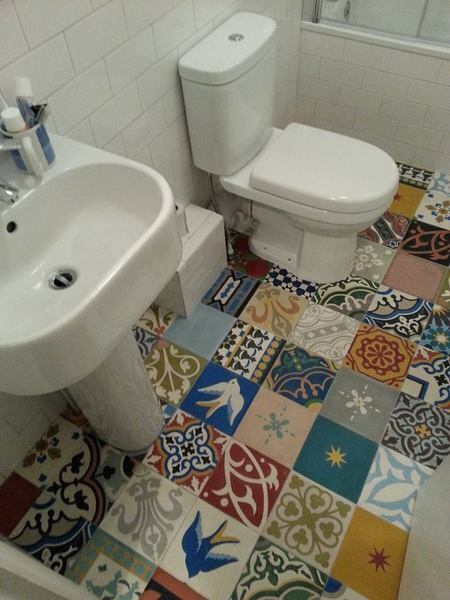 This involved removing the toilet, replacing all the flooring, including wooden supports/base and fitting ceramic tiles that matched the original. James came to quote and was kind enough to call me when he was going to be a little late. His work was absolutely excellent at a fair price. He left our flat in a clean and tidy condition. Communication with him throughout the process was straightforward and clear. I am very happy to recommend James. James provided a first rate service when I needed my mixer tap repaired. He was prompt, on-time ,efficient and effective at a reasonable cost , as well as being a very pleasant, likeable person. As landlords who live abroad, we needed a plumber we could trust to get on with the job unsupervised and who would be considerate of our tenant. James was excellent on both counts. He kept in touch, kept the place tidy for our tenant and left the bathroom exactly as we wanted. Our tenant said, "James left the flat in a clean and tidy condition at all times during his work . There was a slight over run in the contract period but these things happen. I would have no issues recommending James to a friend in the future." Thanks James! I found James through Which?. He provided a fair quote and was available to complete the work within a reasonable time frame. He also provided helpful advice in terms of maintaining costs. 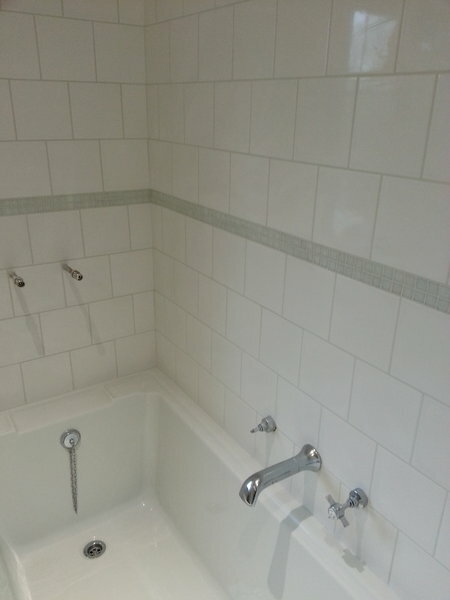 I was impressed by the care he took to keep the place neat as he repaired plumbing and re-tiled the bathroom (something which is by no means a tidy job!). 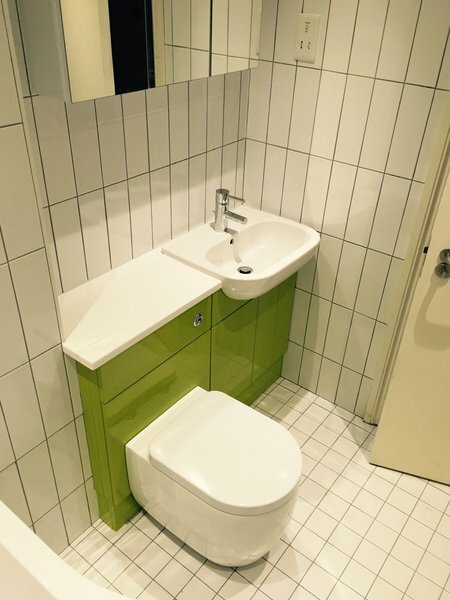 The work was completed on time and to an immaculate standard. I would highly recommend James and will certainly call him for any future plumbing work. Thank you Marian. No problem at all. Prompt and highly efficient service in a highly professional way! We needed an emergency plumber fast so I consulted Which? Trusted Trader - James was my third call and even though he was obviously on another job at the time he kept in touch as to his arrival and was here within 2 hours of my call. We had constant water coming out of the overflow pipe from the water tank in the loft - being a complete idiot I had tried to fix it myself and ended up breaking the ballcock valve and spindle! Being a fit young man James was able to haul himself up the ladders into the loft with no problem. James identified the problem and after popping out to buy some parts was able to fix in next to no time! An extremely pleasant and courteous young man who is very good at his job who gave me a very competitive price so I have no hesitation in recommending James for all your plumbing needs! Woke to find water dripping through my kitchen ceiling. James arrived within an hour of my call. He found and repaired the leak and also managed to repair two radiators all within an hour. I was delighted. Very polite and helpful. I have no hesitation in recommending James. James came to replace one of our toilet flush valves and repaired our bathroom taps. He further advised on how to find a replacement for non-standard toilet seat. He was very polite and professional and carried the work out quickly and with no fuss at all. Very happy with the result. Turned up when agreed. Fixed 2 radiators after decorating. One existing, one new. Good job with minimum fuss. My radiator started to leak badly when being removed to have a damp course fitted. James responded very quickly to my call and dealt with the problem very efficiently.